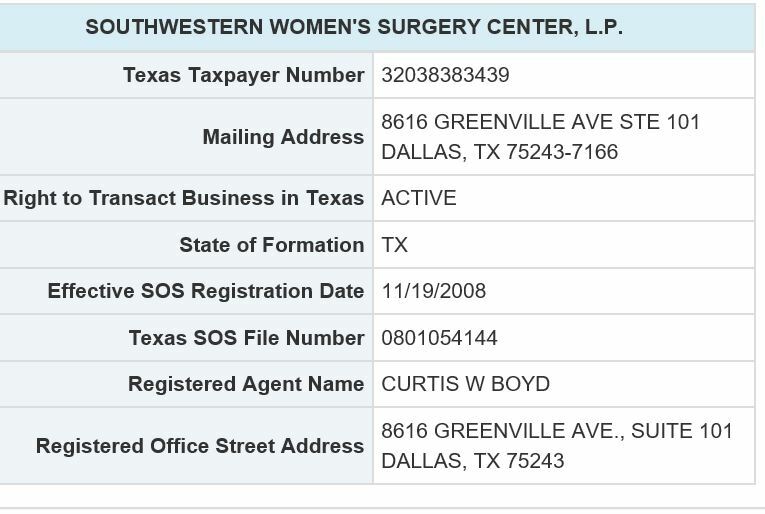 TX corporation registration for Southwestern Women's Surgery Center. 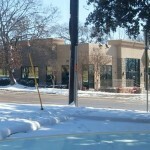 Abortionist Curtis W. Boyd is the registered agent. 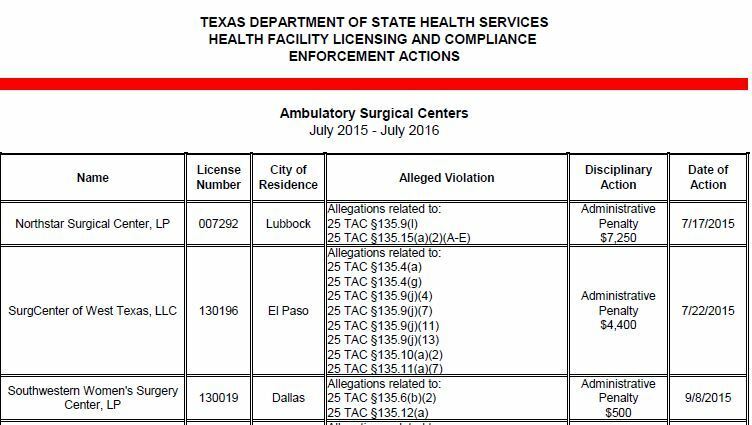 Sept. 8, 2015: Southwestern Women's Surgery Center abortion clinic is fined $500 by the Texas Dept of State Health Services. Abortionist Jessica Guh is allegedly not certified as an ob-gyn. She is a Family Medicine doctor. 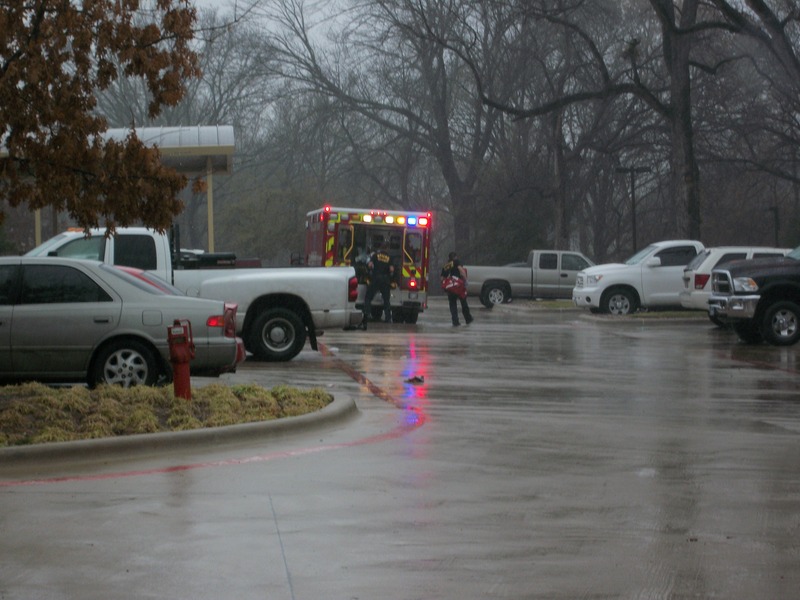 Southwestern Women's Surgery Center is a plaintiff in this lawsuit. Hawaii doctor "Jane Doe, MD" receives a subpoena to testify in a Texas lawsuit about abortion regulation. The anonymous "Dr. Doe" refuses to testify, and she files a motion to quash the deposition subpoena. 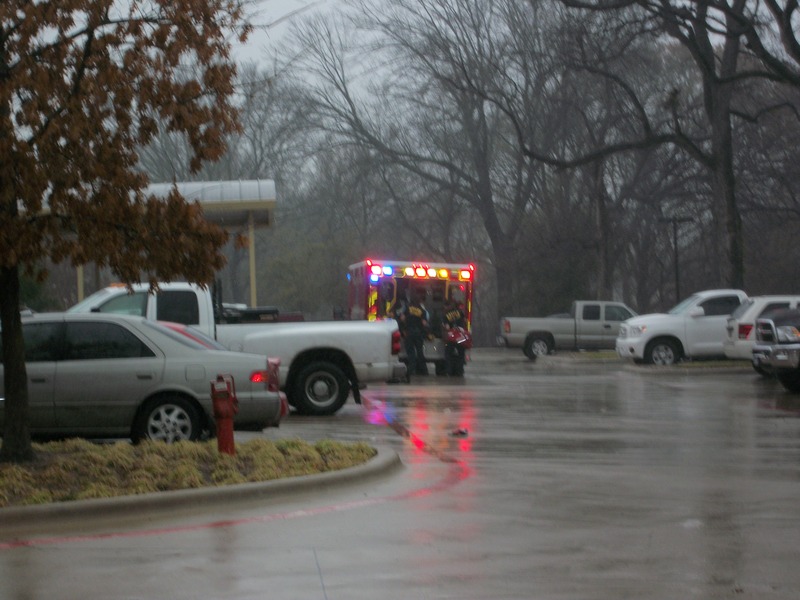 Southwestern Women's Surgery Center is a plaintiff in this lawsuit. 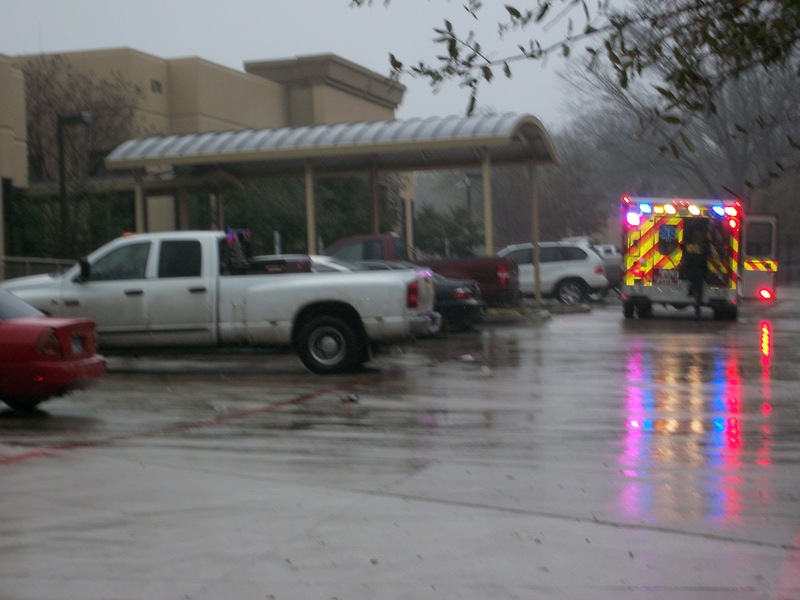 Anonymous Hawaii doctor "Jane Doe, MD" was subpoenaed to testify in a Texas abortion case. She refused, and filed a motion to "quash" the subpoena. The U.S District Court of Hawaii grants her request, and allows her not to testify. Letter from Texas Attorney General's office regarding public records request for Planned Parenthood. Email from Texas Assistant Attorney General regarding a records request for Southwestern Women's Surgery Center. Email reads in part, "The OAG is, however, conducting a civil investigation against multiple defendants, including Southwestern Women's Surgery Center. Information pertaining to this investigation has been the subject of a prior request for information. In response, the OAG sought and received a ruling from the Open Records Division allowing us to withhold information relating to this investigation."